A great article posted on the mypilatesinfo.com website earlier this year offers a great explanation of exactly what Pilates is and how it can be used to keep your body strong and healthy and prevent all the unnecessary wear and tear on joints that can occur when your muscles become unbalanced. Pilates is about strengthening your core. But the point of creating and maintaining a strong core isn’t just so you can do more advanced Pilates work. The goal is to have a strong core and proper alignment so your body functions properly and you can do all those activities you love for the rest of your life. 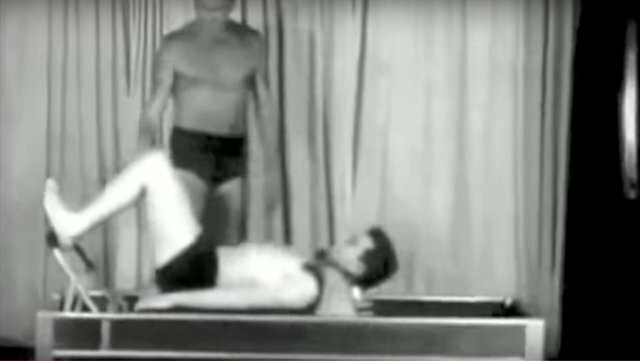 The article also offers some specific details on how Pilates can help runners and golfers and includes a very interesting video with archival footage of Joseph Pilates (the creator of the Pilates method). This article is definitely worth a read for anybody who is a little vague about what Pilates actually is. For those who have already realised the incredible health benefits of Pilates, it also provides an excellent way to explain Pilates concisely to anybody you might want to share it with in your life. You can also contact our reception desk on (03) 9939 1289.